Undoubtedly, as fossil and nuclear fuel is considered more and more dirty and unnecessary, a growing demand for more eco-friendly and safe renewable energy sources. Sun, wind, water, biomass, waves and tides, the temperature of the planet – all this provides a colorful alternative to non-renewable energy sources. Here is a collection of incredible examples of the use of renewable energy and efforts to curb it in the last few decades. Some of them you’ve never heard before. 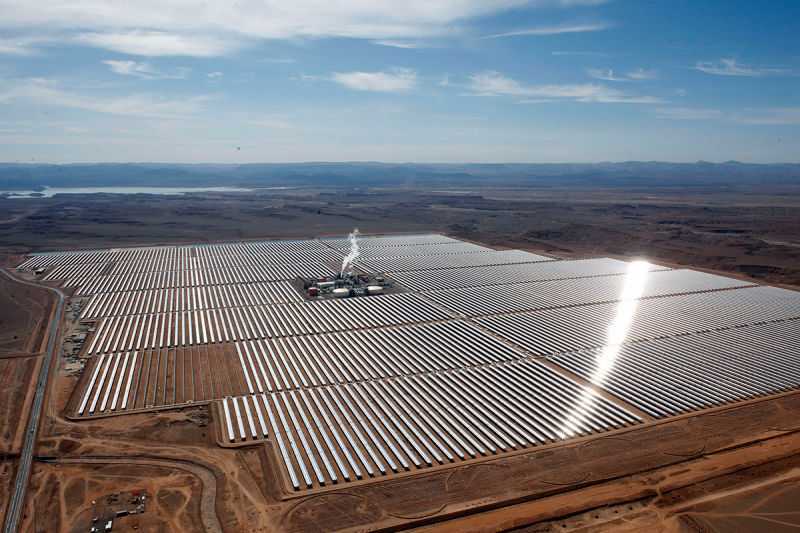 Aerial view of the solar plant in Ouarzazate, central Morocco. The world’s largest solar photovoltaic plant uses, benefiting from the scorching heat of the Sahara. 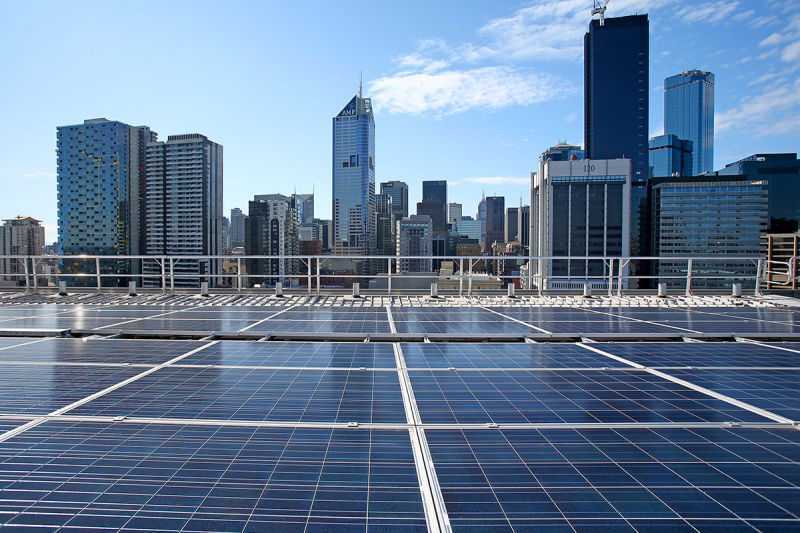 Solar panels can be seen on the roof of the office Docklands AGL Energy in Melbourne, Australia. The solar rooftop system covers 20,000 square meters and produces about 110,000 kWh of electricity per year. In 2015, the wind industry has installed more than generating electricity towers than any other energy industry in America. 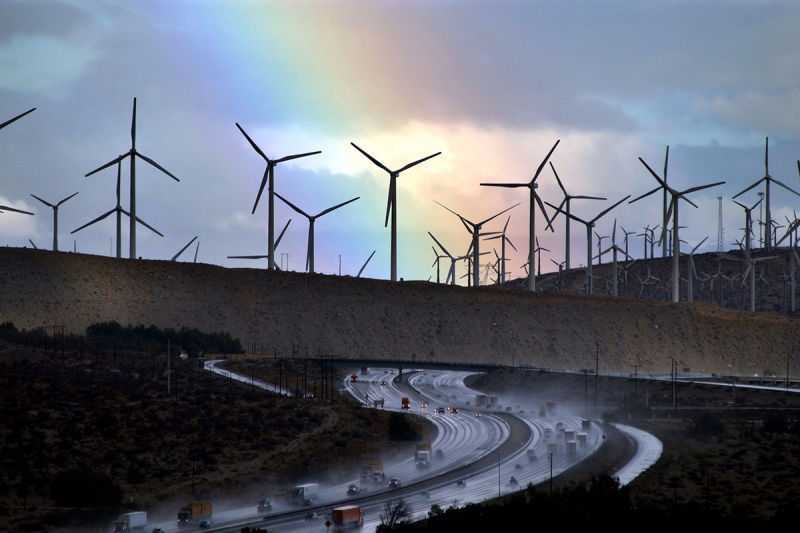 San Gorgonio Pass Wind Farm (below) – is one of three major wind farms in California, including more than 3,000 wind turbines generating 615 MW of renewable electricity. 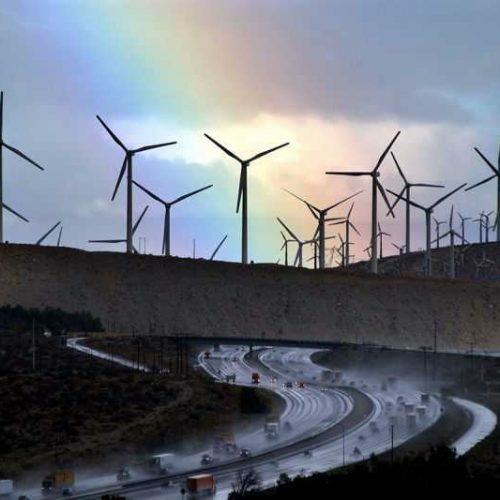 Europe – a world leader in the construction of wind farms near their shores. 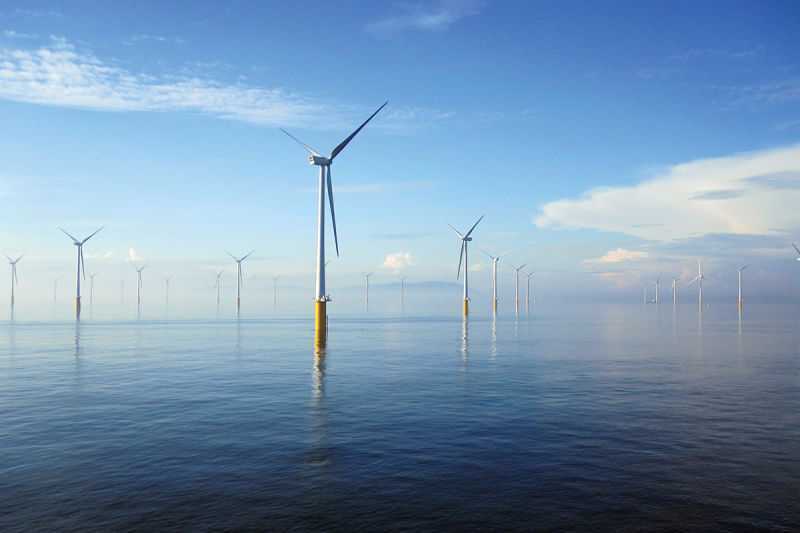 Londo Array – is the largest flooded the wind farm, which started work April 8, 2013, 20 kilometers from the coast of Kent and Essex, England. The maximum capacity of the farm – 630 MW – 175 turbines provided, and it is enough to power the 500,000 homes. 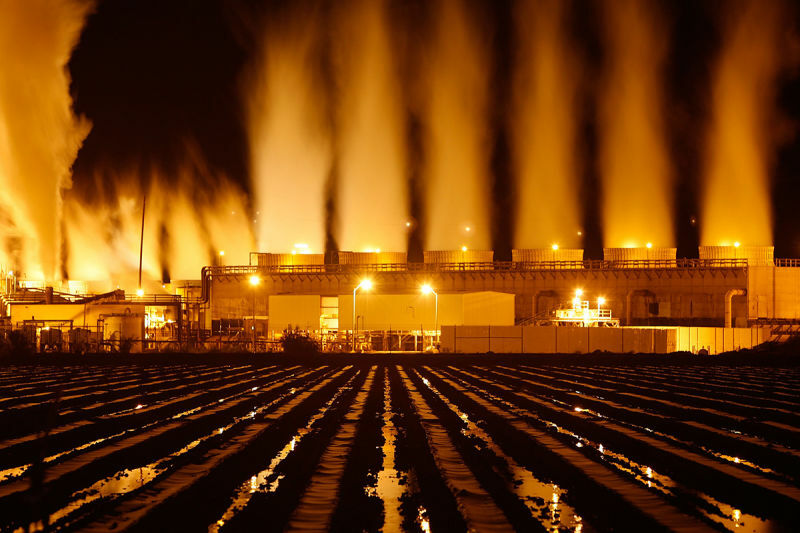 on the use of geothermal power stations is extracted it deep from the earth. How, for example, the station the Salton Sea in Calipatria, California, located on the southern San Andreas fault. This station is located near the geothermal field Salton, where temperatures reach 360 degrees Celsius at a depth of 1500-2500 meters. Located in the Mojave Desert, 70 kilometers south-west of Las Vegas, Ivanpah Solar Electric Generating System is a working project to collect solar thermal energy. Power facility – 392 MW, it uses concentrated solar energy. 173,500 heliostats mirror spread out over 14 square kilometers, focusing solar energy on boilers located on the tops of the three solar towers, which is born couples torque conventional steam turbine. 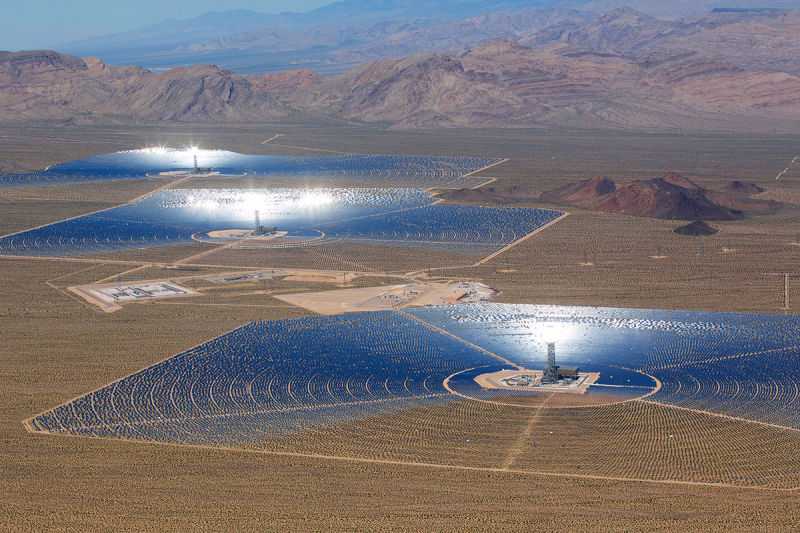 This project – built by Bechtel, owned by NRG Solar, Google, and BrightSource Energy, – currently the largest operating solar thermal installation in the world. This 102-acre 15-megawatt station Solar Array II Generation Station airbase USAF Nellis in Las Vegas, Nevada. 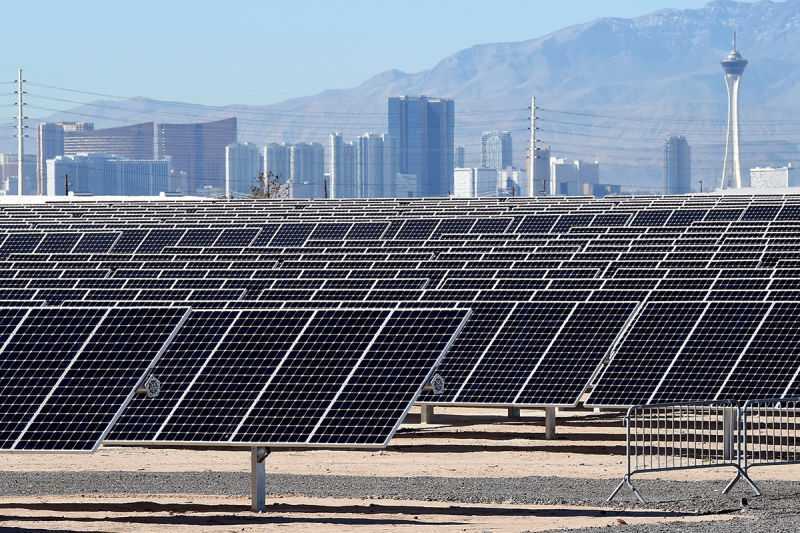 Combined with the 13.2-megawatt project Nellis Solar Star, completed in 2007, Nellis has become the largest solar photovoltaic system, the US Defense Department. During the daytime hours of sunshine two solar fields in the sum satisfy almost all bases energy needs or 42% of all electricity requirements. array The energy that is not used goes to the NV Energy grid and back to the local community. 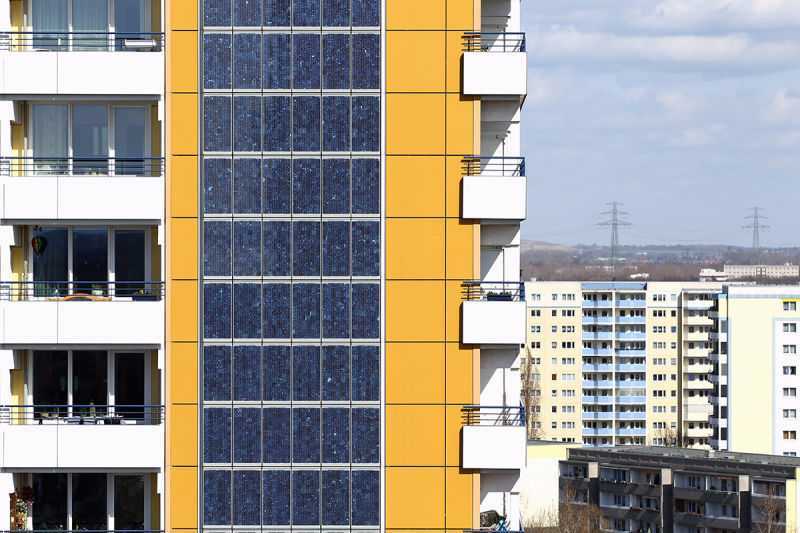 Photovoltaic cells cover 426 square meters of the 70-meter south facade of the house with apartments in Berlin, Germany. Photovoltaic cells replace normal facade panels and generate about 25,000 kWh of solar electricity per year, which goes to the public network and to the power of the twin towers. This helps to reduce operational costs, which beat afford residents. 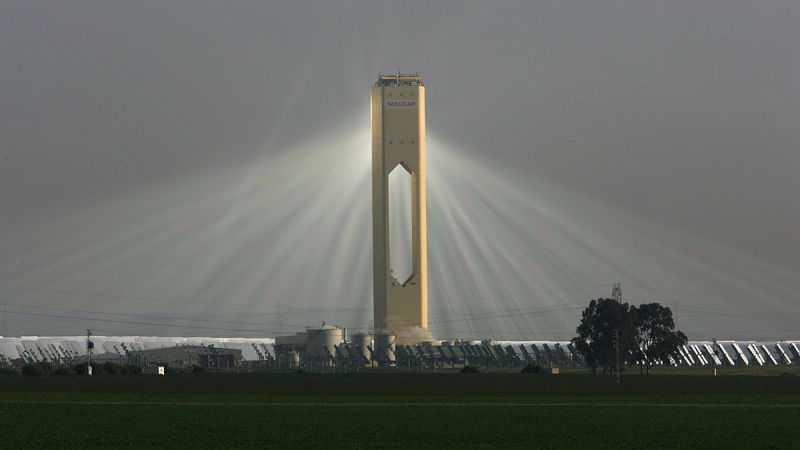 PS10 solar plant in Sanlúcar la Mayor outside Seville, Spain, was the first commercial solar tower in the world, built by the Spanish company Solucar. It can provide electricity to 6,000 homes. 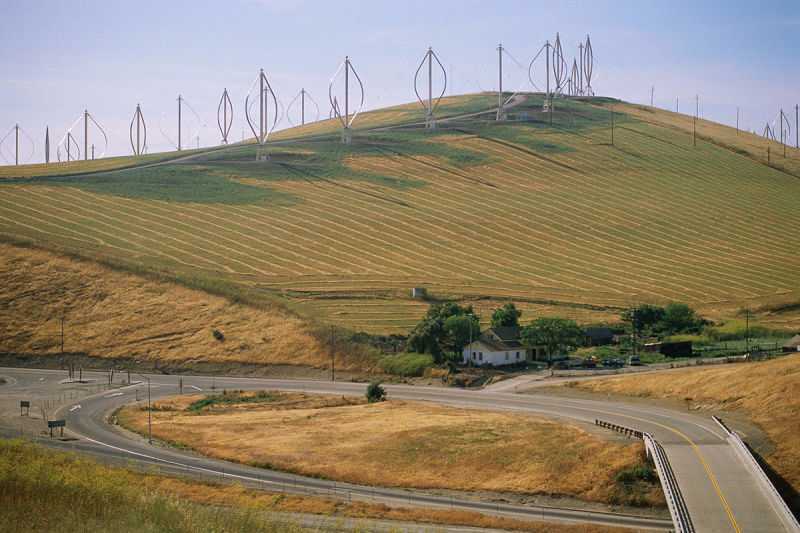 Wind turbines with a vertical axis Darrieus type wind farm at Altamont Pass in Northern California – one of the first in the United States. This wind farm is made up of nearly five thousand relatively small wind turbines of various types with a total capacity of 576 megawatts, generating 125 megawatts and an average of 1.1 terawatt-hours per year.